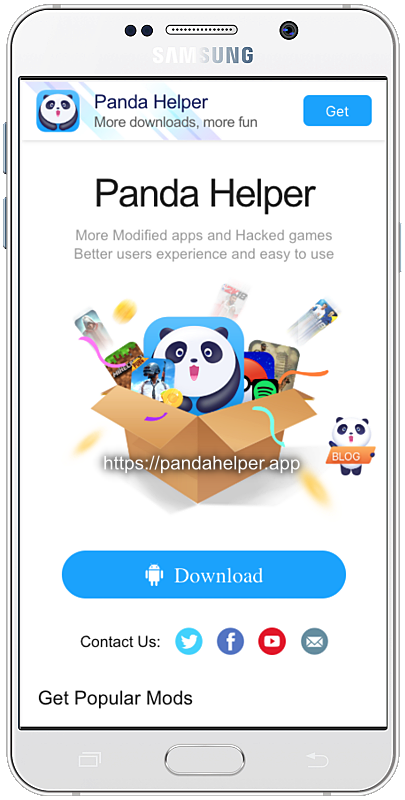 Panda Helper is one of the most in-depth third-party app installers that we have, offering thousands of apps and games. Some of these APK files have been modified with extra features, and all of them are free to use. To download Panda Apps on your Android device, you would first need to download the APK file. Now, while you will find websites that claim to have the Official Panda App APK, they are all either FAKES, or they are Advertisement SPAM and, as such, are not safe to download to your device, reviews on the internet back up this fact. Follow our only official guide below with genuine download links. Installing the APK file will be easy enough to do, but you do need to follow the guide very carefully. If there is no icon, the installation has not been successful; you must repeat these steps. There is one excellent alternative for Panda Android app, called ACMarket. It works on the latest Android version and is free to download. ACMarket has a large app store with modified apps and games. Everything that you could imagine. Download from the link above. Panda AppStore is one installer that can and will stay the distance — regularly monitored by a very active admin (Twitter). Take a look into the Panda Apps category, and you will see unique content, games, and apps that won’t appear in the official store. Download movie streaming apps like Popcorn Time, MovieBox and MediaBox HD. Choose from favorite games emulators, top screen recorder apps and much more. Some of the tweaks will allow you to change the way your device looks while others add extra functionality, both to the stock apps and to the standard features. go ahead and download the app. then enjoy !!! I know but can you please make the Android version of it. Hey Panda helper what are you making the Android version . Hello, you can update the offer on Android from 1.0.3 to 1.0.8 thank you! sure we will , thank you for posting your comment. cheers !!! L’application est Fake on a pas accès à Sportif ni Deezer prenium.